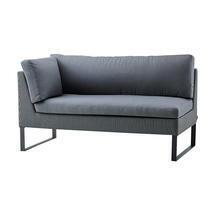 One of the most versatile outdoor lounge and dining solutions. 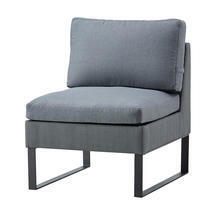 The seat height of a Flex sofa is higher than a standard lounge sofa, in fact the same height as a dining chair seat. 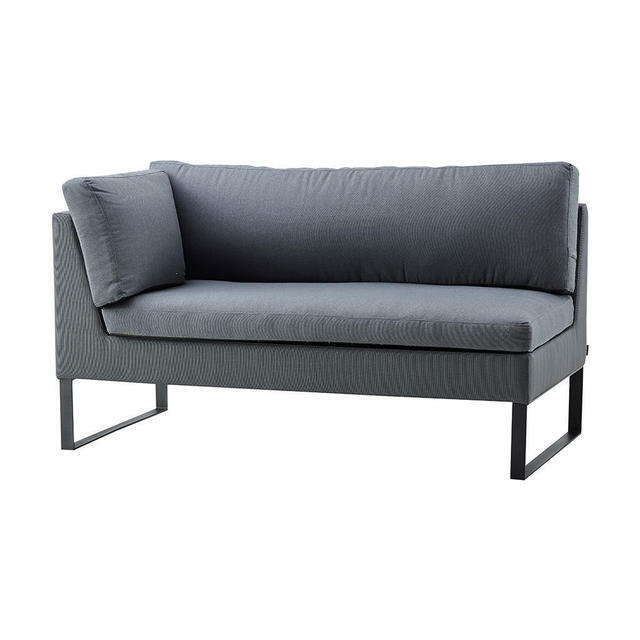 This allows the sofa to be used for both relaxing seating as well as alfresco dining. 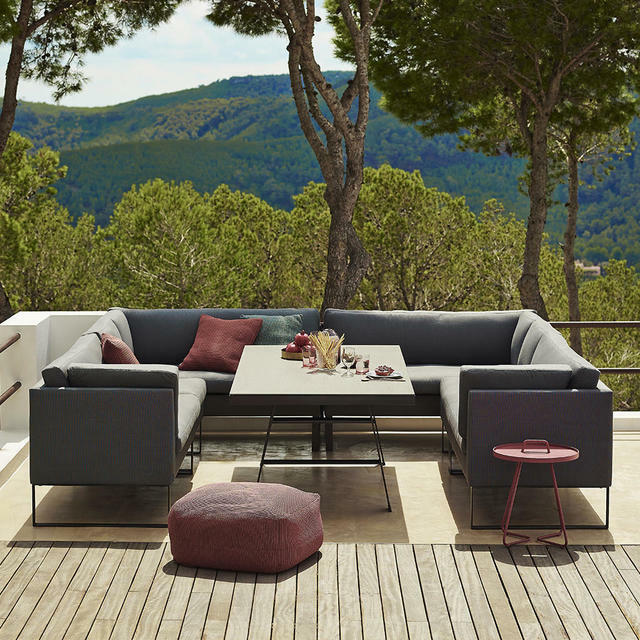 Flex dining lounge is the ideal solution for outdoor space when you are tight on space and using the same area for both dining and lounging. 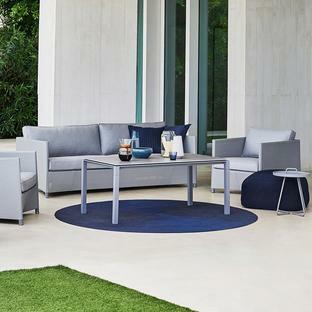 Use the Flex outdoor dining lounge with the Flex table, either with seating on 1 or 2 sides and pulling up extra chairs if required, or a couple of stools such as the Area collection. 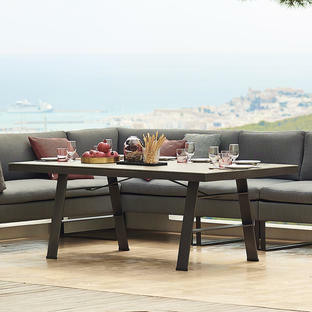 With its unique design and function, you can change the way Flex dining lounge is used in a matter of seconds – from dining to lounge or vice versa. 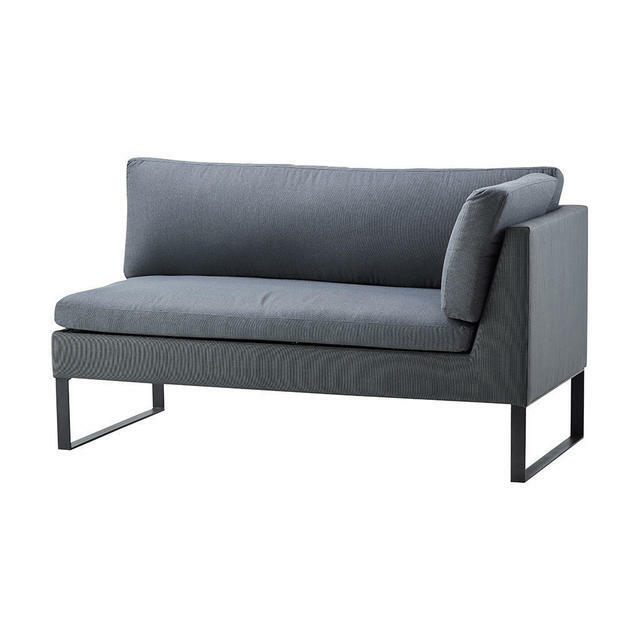 Flex is a modular sofa system, which can be built to match any shape or size. You can design your own dining lounge by combining the various elements and combine with the Flex dining table for total flexibility. The Flex dining lounge is made with grey Cane-line Tex with Sunbrella natté cushions. The Tex fabric is a unique all-weather fabric, which can be used outdoors all year round with a minimum of maintenance. 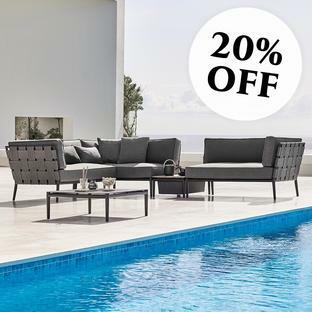 All of the collection uses the Cane-line QuickDry system which allows the rain to run off the fabric and any water which does seep through will run out from the underside of the cushions. 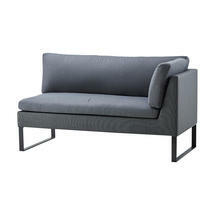 The frame is Cane-line Powder Coated Aluminium.